Are you ready for Valentine's Day? Make The Market your one-stop shop for a thoughtfully crafted and unique gift and all the fixings to make a fresh, locally sourced delicious meal for your Valentine. We've got you covered! Visit Marion Pollmann Clay Art for a custom piece of pottery or SNC Art & More for a greeting card, magnet, or bookmark with a beautiful photo of the Pacific Northwest for your Valentine. Or perhaps your artistic Valentine would enjoy a unique etched piece of sterling silver from Dancing Circles or a beautiful, functional glassware gift from Ginger Street Glass Studio. A distinctive piece of custom metal wall or garden art from Metal Work Design & Cut would make a unique and memorable gift, or an abstract painting from Judi Colwell Art might make your special someone swoon. A sweet smelling gift for you sweetie? 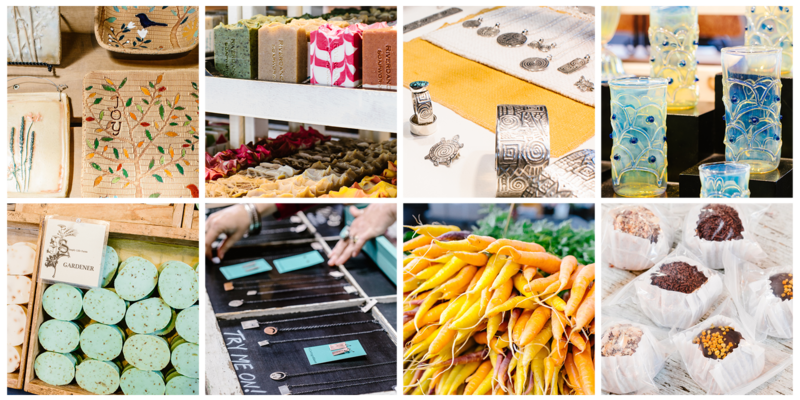 Perhaps botanical soap from Cascadia Terrior, Simply Life Farm and Riverdance Soap Works also have sweet-smelling and natural soaps for your Valentine. Pamper someone with asachet or aromatherapy eye mask made with Washington grown lavender from Miller Lavender. A decadent chocolate treat of handmade truffles (with many vegan options!) from Blissful Wunders wouldn't go to waste. And don't forget your furry Valentines! Crossed Paws Bakery has been making homemade, all-natural dog treats for years for your four-legged friends! Are you planning a cozy night in? The Market has all the produce, meat, dairy and herbs you need to wow your Valentine with a homemade, locally sourced meal. Produce is available from several farms including Rising River Farm and Never Winter Farm, and meat and seafood is available from Chehalis Valley Farm, Stewart's Meats, Johnson's Smokehouse and Sound Fresh Shellfish and dairy from Rosecrest Farm and Tunawerth Creamery. One list isn't enough to cover all the unique Valentine's Day gifts and delicious treats available at The Market. Stop by and see for yourself this Saturday!